In the modern world we take a lot of things for granted. Like in start of every invention there is great hype of every invention but with the passage of time, people have overlooked the contributions of those great inventions same like the inventions which came before us and make our life easier as well. In this era people are enjoying many amazing inventions like GPS which is recreation of Compass. In past people used to use compass for knowing direction but now in smart world people use GPS available in cars system, mobile etc. 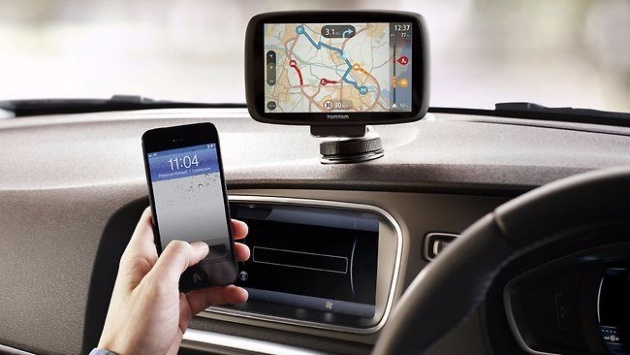 Like if you are planning to visit a place and unware of its direction so “GPS navigation system” is very helpful in this regard and it is one of the best smart invention. Through this system you can follow the right direction which not only save your time but also save the headache of time wasting. Through this you can arrive at your destination easily. Same like these inventions there are recreation and advancement of the same old invention of past but made our life easier. In 19th century, an American commissioner named Charles Duell gave his remarks which was…. According to Duell people should follow the history of ancient inventions to get benefits from them. His wording also reveals that human have forgot ancient inventions. 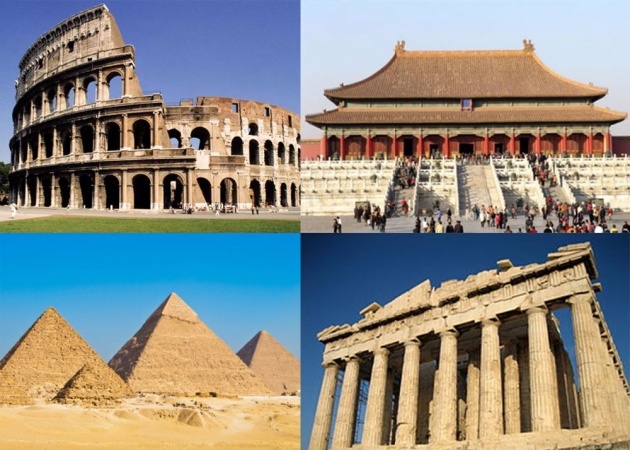 If you search history about ancient inventions then you come to know there are lots of ancient cultures which have contributed more for the advancement of human progress. You also get surprise that many objects of this era surround you with the inventions which were invented by thousands of years ago by ancient Romans, Chinese, Greeks, Egyptians and many others. These ancient inventions played great role in revolution around the world. 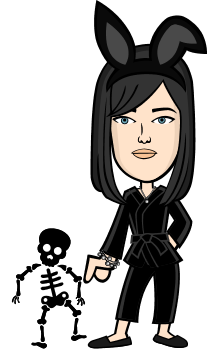 Here in my blog I am going to tell about most useful ideas, objects and institutions from ancients. The ancient invention of paper dates back almost 3,000 years. Egyptians designed first paper from Cyperus papyrus plant. The modern word paper derived from the Egyptian word papyrus. In Egypt, these plants were grown near the Nile River. Egyptians used stems of papyrus plants for making multiple goods like boats, chairs and mattresses but most popular use of this plant was papyrus. The ancient Egyptians were first of all removed outer layers of papyrus plant and after that they sliced the inner layer of plant into long strips and placed side by side, overlapping slightly. After this procedure the strips were soaked in water for twenty one days and placed heavy rock on it. Due to the pressure of heavy rock, juice of plant came out which acted like glue and bonded these strips together. At the end its shape become like a sheet which they dried under the sun. For writing on the papyrus the ancient Egyptians also invented pen which made from reed plants. Even after more than 5,000 years, many of these ancient papyrus sheets are still available and readable in the museums. Another great ancient invention is compass which was invented by ancient Chinese. In 14th century compass was widely used by mariners and it also replaced astronomical means. In modern era compass is also used in aircrafts for determining direction identification. It is used by people for aviation, hiking, hunting and camping. Compass can lead us and we can arrived at our right destination as well. 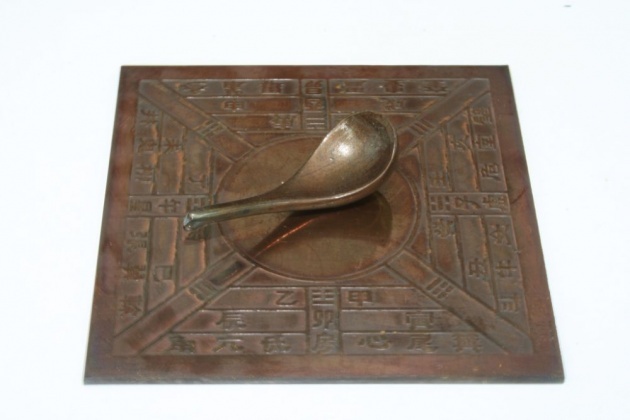 Very first ancient Chinese compass was made by a mineral ore and iron oxide. It consisted of two parts square shaped bronze plate and metal spoon. Metal spoon was made by magnetic loadstone. Square bronze plate was featured in Chinese characters the main four directions North, South, East and West. When the spoon of this compass was placed on square shaped bronze plate then bronze plate was moved and loadstone magnetic spoon spun and stopped on the direction automatically aligns with the Earth's magnetic fields. Bronze plate was also marked with other important symbols of ancient Chinese, cardinal points and constellations. Later on in modern era variety of compasses were made according to the requirement of individual like map navigation compass, mirror compass, field compass etc. Almost 2,500 years ago, Marathon all began in Greece. If we go through the history we come to know that how word Marathon invented. According to history a Greek soldier who ran from Marathon (Town in Greece) to Athens completing a distance of twenty six miles. Soldier brought news that Athenian defeated to the Persians in the Battle of Marathon. After delivering this news soldier died. After this story another famous story of Greek soldier named Pheidippides took place. Before the war in Marathon, Pheidippides ran from Athens to Sparta for warning the Grecians about the attack of the Persian Army. He completed a distance of 250 kilometers. When Pheidippides arrived to Sparta, unfortunately they were in the middle of celebration of their religious activities. During celebrating these activities, Spartans didn’t move for doing war. Until it was too late and the war was over too. On the background of these historical stories the Marathon Race was started. In 1896, the first Marathon held in Athens at the revived Olympic Games. This Marathon was won by a Grecian runner named Spyridon Louis. First daily newspaper was appeared in 131 B.C with the name of the "Acta Diurna (means daily events)”. In ancient Rome, the Romans served a gazette of social and political happening. Romans also used whitewashed boards for informing about the news of the day and posted in public areas. The Roman’s Acta Diurna consisted of current events like crimes, trials, births, weddings, military victories, games, human interest stories, gladiator and political events, movements in the Imperial family, supply and cost of different goods. Julius Caesar who was the first Consular of the Rome ordered the activities of the Roman senate also posted in the The Acta Diurna. Publication of the Acta Diurna was continued under the Empire of Roman so we can say it was the first prototype modern newspaper. “The famous Athenian, Pericles, said: "It is true that we (Athenians) are called a democracy, for the administration is in the hands of the many and not the few, with equal justice to all alike in their private disputes." In 507 B.C the concept and word of democracy was introduced by the ruler of the Athens (the capital of Greece) named Cleisthenes. The Dikasteria, on that time’s popular system of court. In this ancient but first form of demokratia government, only a small minority of the Athenian population participated and mostly participants were male and age limit was over eighteen. Around 406 B.C an aristocracy and a general named Pericles they emerged this popular system. It was the last popular system of rule of Athens. However, in ancient Greece democratic ideals and processes didn’t survive and they have been influencing governments and politicians ever since. If you study the history about the zero digit you come to know that this digit was first invented by Mayans, Indians and Babylonians. Babylonians got the idea of their number system from people of Sumerians who developed the idea of counting system. Around A.D 350 people of Maya got the idea of zero as a placeholder independently and also used it in their calendar system but they didn’t consider zero as a number and not use it in their equations. In 7th century, Indian astronomer named Brahmagupta who introduce the concept of zero that zero could be seen as a number of its own and also wrote different rules for using of zero in mathematical operations and equations. When we talk and hear about “chocolate” then we create an image of a box of bonbons, or bunny, a bar etc. 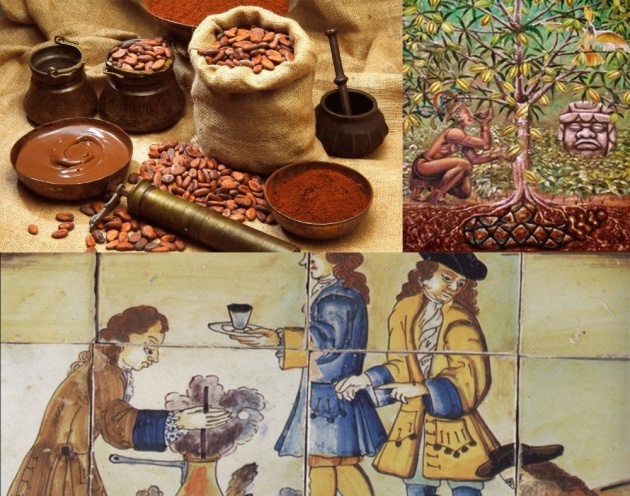 First history of chocolate was comes from the beans of a tree named cacao. This tree was cultivated by Aztec, Toltec and Maya people of Mesoamerica more than three thousand years back. According to their civilizations they used beans of the cocoa’s tree for making a foamy beverage which they considered mood enhancer and energy drink. For people of Maya cocoa beans were considered so valuable because they used these beans as currency and they also worshiped the cacao tree for sacred. In the new world Spanish conquistadores came to Europe for seeking of silver and gold brought with them chocolate. From here craze of chocolate spread around other countries of the world and never really ended. Now in overall the world chocolate is most consuming and yummiest sweet. History of eye makeup almost 4,000 years back. Ancient Egyptians knew all the power of making smoky eyes. In ancient Egypt Pharaohs and their queens wore smoky eye makeup. For eye makeup Egyptians used kohl to line their eyes. Kohl was mixed with a mineral with a metallic black, gray and bluish, soot with galena and another mineral malachite. In ancient Egypt women and man both used kohl for eye makeup. According to ancient Egyptians due to wear of eye makeup protect them from the evil eye as well as it enhanced their healing properties. More than two thousand years back, the frighteningly durable substance known as concrete and opus caementicium first invented by Romans. According to scientists in 27 B.C during the first Roman Empire named Augustus the frenzy architectural would possible to begin. Roman concrete consisted of limestone, chunks of brisk and volcanic ash. First they were mixed limestone with volcanic ash to form a mortar, after that they packed all this thick substance together with chunks of brick. This material was used for bridges, buildings, roads, aqueducts and other structures like the Colossuem and the Pantheon. But according to scientists, Roman concrete is weak than modern cement because cement is long-lasting and remain intact even after different damaging elements. This is the End of my Blog. Hope you people enjoyed alot... I spend my hard working here in writing this and want your comments below in comment section.